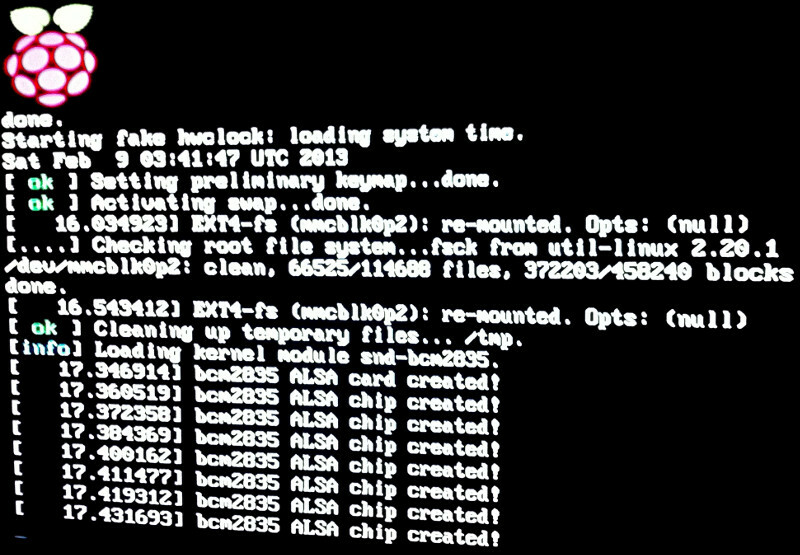 I had been putting off posting about this project until I had gotten RaspBMC to work, as that was step two, but it looks like the problem I need to be resolved is going to be a little while coming. So, I’m going to come back later and put an update if I get it running correctly. 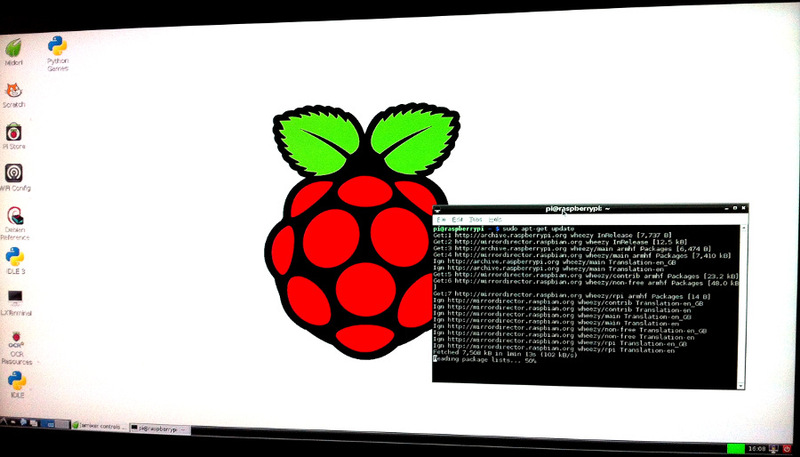 Either way, the Raspbian (the Debian Wheezy Raspberry Pi distro) setup is pretty clear and the same for every model of Raspberry Pi. 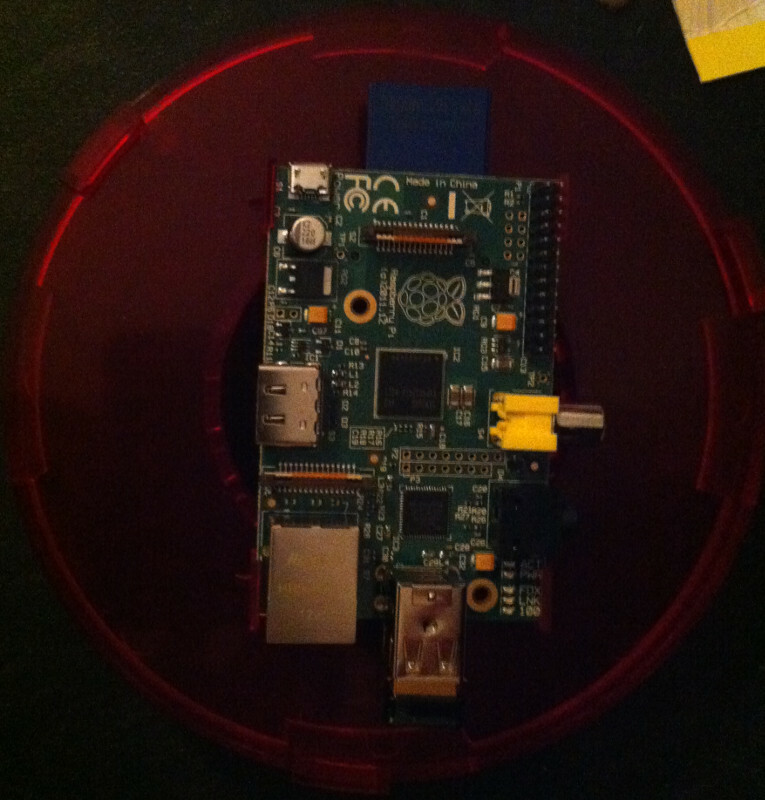 Raspberry Pi Model B with SD card and wireless adapter inserted. I did this all in Ubuntu 12.04, so my work will be related to that OS; though commands are pretty similar across many distributions. Also, I have an SD card slot in my laptop, which means I did not need an adaptor to access the card directly. The first step is to get the image on the card. I snapped in the card, it mounted and I went to the disk utility to find out where it had put it (in the system). It was mounted at /dev/mmclbk0. Once I knew that, I was ready to go get the Raspbian OS. You can get the latest image off of Raspberrypi.org’s downloads page. I’d recommend the straight Raspberry Pi Wheezy image, as the “soft float” one is slow, and the others are more for advanced users that want to do very specific things. 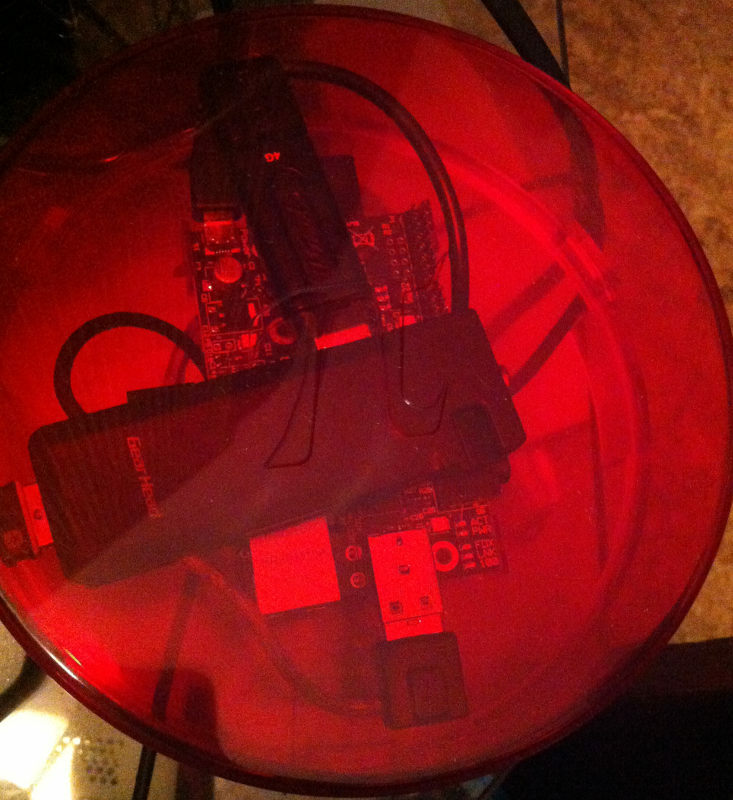 Once it was done, I unmounted my card and slapped it in my Raspberry Pi for boot. On first boot you’ll get a lot of options. I’m not going to go through them one by one, as it’s pretty clear what each one is. The two I want to point you to however, are the expand rootfs and the memory split. Expand rootfs is necessary if you have, like me, a larger than 2GB SD card. This opens up the rest of your card to be used by the system, so you have more storage space for your OS. The memory split is important because the Raspberry Pi has a unified memory structure, meaning that it has one unified “bank” of memory that it divides towards certain tasks. If you’re going to be doing processor-heavy tasks like number crunching or multiple cron jobs, then you might want to push this towards the system memory side. However, if you intend to be using a lot of the graphical features, then you might want to lean towards the GPU. My Raspberry Pi as it I use it now. The system is installed and ready to go. If you hit a command-line on boot, use startx to start the X Windows system (the GUI), and that’s it. I spent a good few hours customizing it, changing the wallpaper and such, but also removing and adding some software from the system to make it more useful to me, but that’s the basic setup. I’ll come back at a later date if I get RaspBMC working, but as of right now it forgets that I have a mouse and keyboard attached to it, and there isn’t a simple solution that works so far. Everything works in Raspbian, and I’ve got quite a few things that I want to do in that, including Python that I mentioned in a previous post.